عندما تزور جولد كوست, ستشعر أنك في بيتك في Spectrum Holiday Apartments الذي يقدم لك إقامة متميزة و خدمات عظيمة. يمكن من هنا للضيوف الاستمتاع بسهولة الوصول إلى كل ما تقدمه هذه المدينة النابضة بالحياة. يوفر الفندق بفضل موقعة الجيد وصولاً سهلاً إلى أهم معالم المدينة.
. إن الخدمات الممتازة وحسن الضيافة العالي في Spectrum Holiday Apartments تجعل إقامتك تجربة لا تنسى. يمكن الاستمتاع بمجموعة من الخدمات على أعلى المستويات في الفندق كمثل مكتب الاستقبال على مدار الساعة, مرافق مخصصة لذوي الاحتياجات الخاصة, تسجيل وصول/خروج سريع, تخزين الأمتعة, واي فاي في المناطق العامة. تنعكس أجواء Spectrum Holiday Apartments في غرف الضيوف.تلفزيون بشاشة مسطحة, غرف لغير المدخنين, مكيف هواء, تدفئة, شرفة/ تراس هي بعض الميزات الموجود في العديد من الغرف. كما أن مجموعة الخدمات الواسعة الموجودة في الفندق لضمان راحتك تترك لك الكثير من الخيارات لقضاء وقتك أثناء فترة إقامتك. استمتع بخدمات لا يعلى عليها وعنوان ذو اعتبار في Spectrum Holiday Apartments . مكتب الاستقبال مفتوح من الساعة 9:00 صباحًا إلى الساعة 5:00 مساءً من الإثنين إلى الخميس، ومن الساعة 9:00 صباحًا إلى الساعة 4:30 عصرًا أيام الجمعة، ومن الساعة 9:00 صباحًا إلى الساعة 11:30 صباحًا أيام السبت. يجب على النزلاء الذين سيصلون في وقتٍ آخر غير الأوقات المذكورة أن يتصلوا بالعقار مباشرةً قبيل وصولهم؛ وذلك حتى يمكن إجراء ترتيبات بديلة. 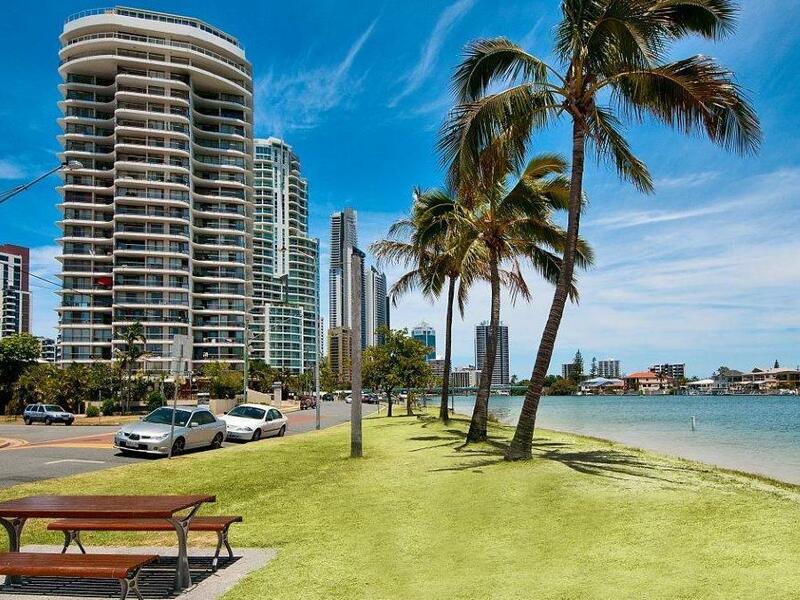 Always our first option in Gold Coast, it’s good for family live with, only one suggestion, if they can refurbished drug and give some dress tea bags that will be even better. I give 8 out of 10. 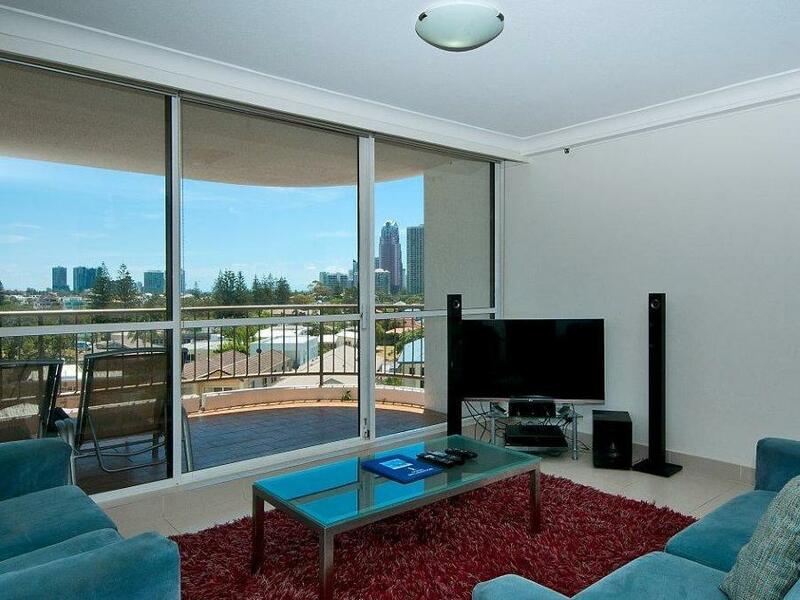 Conveniently located in Surfer's, close by to the beach and shops.. Easy check in and check out procedures. Secure free parking. Clean, quiet and spacious and true to photos. Loved our stay. The apartment was clean and had all the essential items we needed. The view from our balcony was amazing and quiet. Very clean and nice place. Me and 2 of my friends are happy with this place. Only 7mnt walk to tram station or 4mnt walk to bus stop. Nice river view. Friendly staff. my mom love it so much so thats all about it. They had the nicest receptionist and the location was right near the beach! Super quiet but super close to city centre, was so pleased with this place im coming back next year! The spa was out of order for a whole week which was a shame as the pool and spa was one of the reasons we picked spectrum. excellent room with a breathtaking view. Bit of a walk to downtown but provides parking when driving is an option. 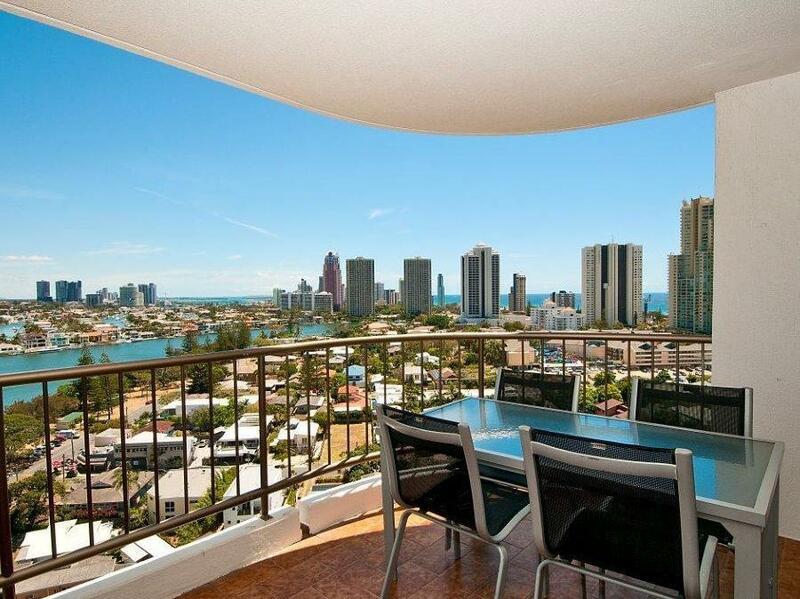 Great location with views of the river but close to the heart of Surfers Paradise, good facilities, no air con or ceiling fans in our apartment was the only thing we would have liked. Fantastic facilities and views. 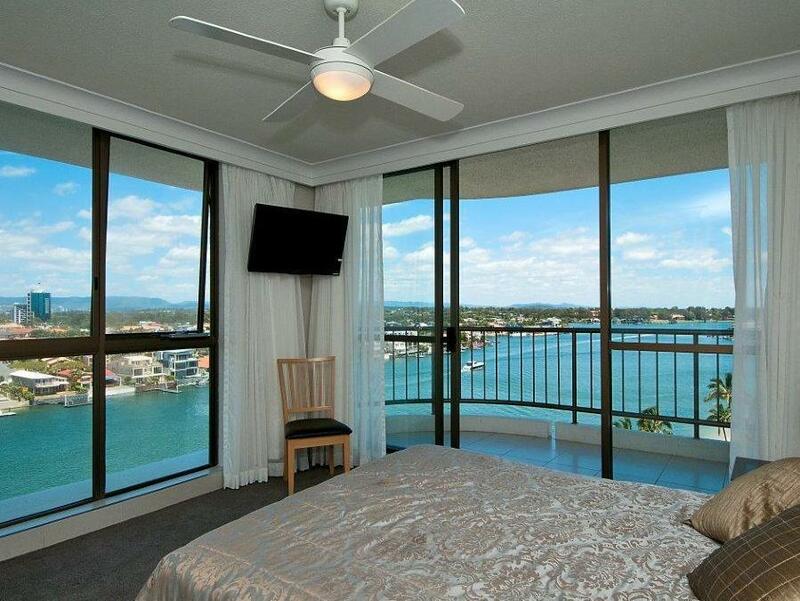 Staff were great and couldn't ask for a better location within walking distance to the City Centre and beaches. I would recommend it to anyone. Great place, location and price. Loved it. It was an average stay with feeling of a chalet rather than a service apartment. I guess it wasn't a service apartment at all. When we just got the room, the aircon was spoiled, shower will flood, oven fan was blowing nonstop even though it was switched off. There isn't a 24hours service counter so it was kinda hard for us to enquire since most of the time we are out. As the aircon is still down throughout our stay, we open the windows for circulation, it was pretty windy but morning will be accompanied by loud noises from birds/cars etc. Our apartment is at 3rd floor so the noise from the car was pretty bad. Only good thing is the view was spectacular, but we will not come back again.